Phi Beta Kappa (Lafayette College), Chief Resident, October 90-March 91, Residency Teacher of the Year 1992-1993 and 1998-1999, First Place Award, Society of Uroradiology/European Society of Uroradiology Film Interpretation competition, June 1996 (Zurich, Switzerland), Air Force Commendation Medal-1988, Air Force Commendation Medal, First Oak Leaf Cluster-1994. A member of West Reading Radiology Associates since 1998, Dr. Brent Wagner is currently President of West Reading Radiology Associates. He is a former staff member of the AFIP and current visiting lecturer for the ACR's American Institute Radiologic Pathology (AIRP). 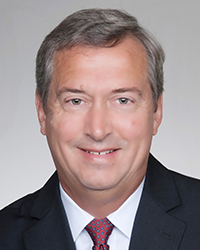 He has served on the American Board of Radiology since 2011 and is currently a member of the ABR's Board of Governors. He is on the Editorial Board of RadioGraphics (Genitourinary Imaging). Dr. Wagner also serves on the Professionalism Committee for the RSNA and is a member of the Commission on Leadership & Practice Development for the ACR. A member of the Reading Health System Board of Directors since 2010, he currently serves as Board Chairman. Author or co-author of nearly 50 publications, he lectures regularly on many genitourinary and radiology leadership topics.